To edit the card's details ->open the card by clicking on the card's ID or double click on the card itself. 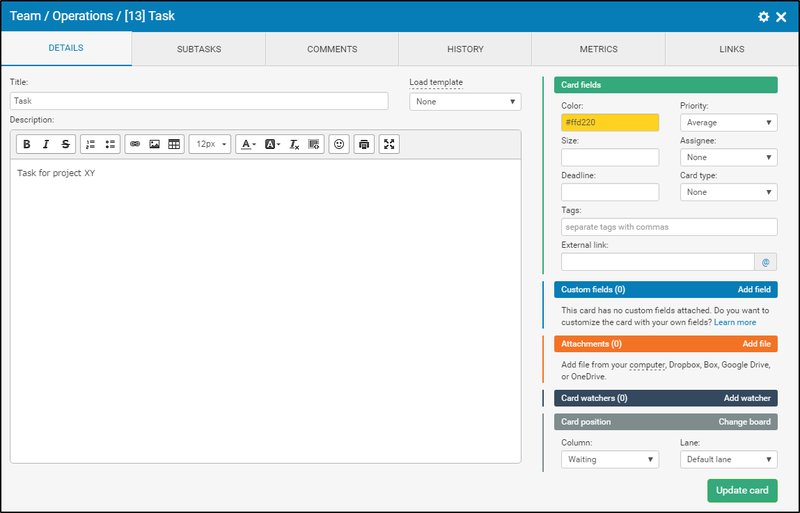 The card fields: color, assignee, priority, size, deadline, card type, tags , external link. Click on Update card to save the changes.